Northbound on US 29 Business which now jumps on the Lynchburg Expressway while VA 163 continues into downtown Lynchburg. Photo by Mapmikey, taken July 22, 2006. 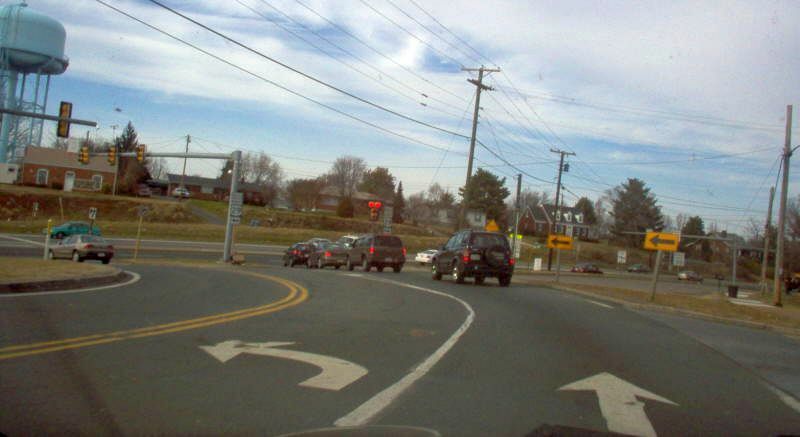 Just past the interchange, the beginning of VA 163. Photo by Mapmikey, taken July 22, 2006. Coming to the end of VA 163, which was US 29 Business until late 2005. Photo by Mapmikey, taken January 30, 2006. 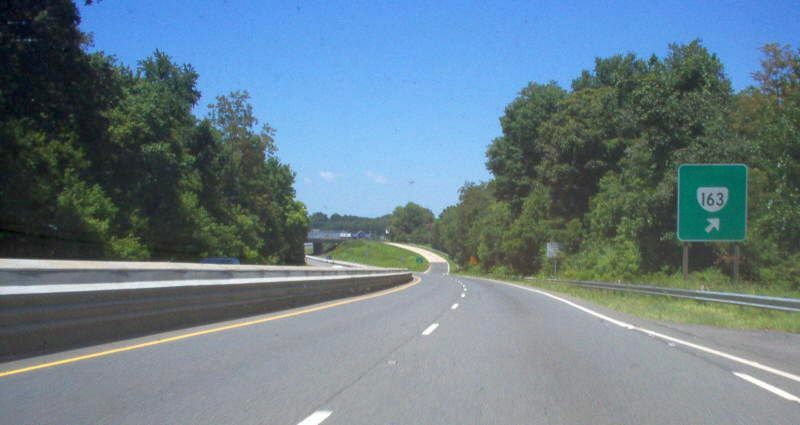 From US 29 Bus NB, a ramp to VA 163. Photo by Mapmikey, taken July 16, 2006.